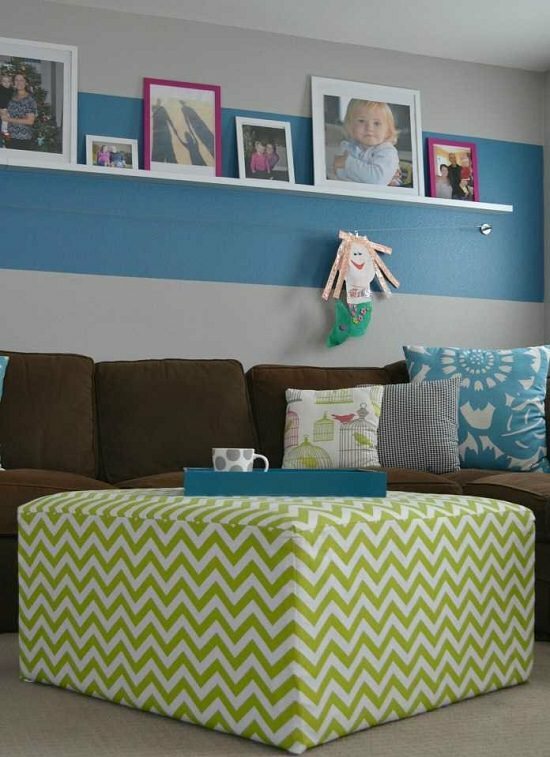 If you are looking for a refreshing addition to your living room without spending much, these DIY ottoman ideas are worth a look! 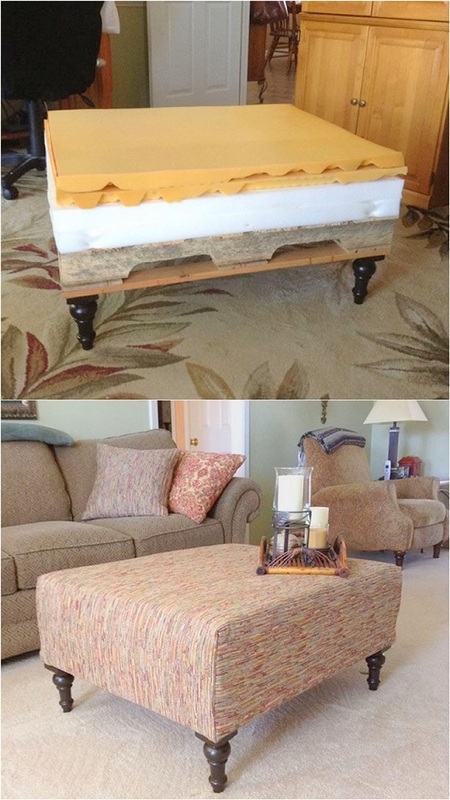 These DIY ottoman will add not only extra seating but also look beautiful. 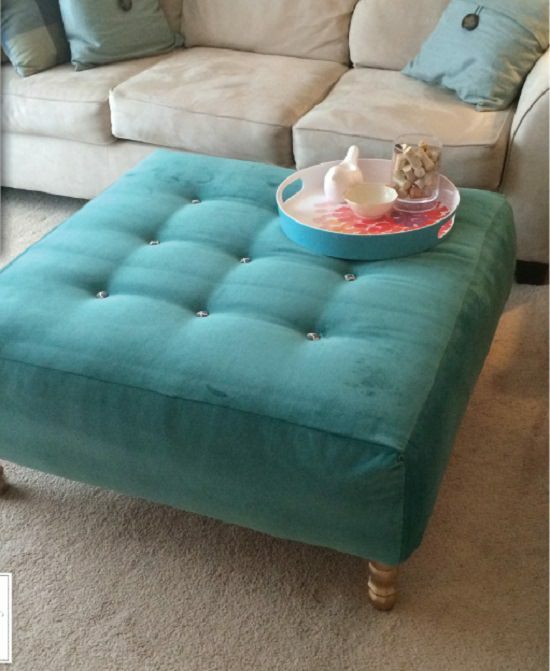 Building an ottoman from scratch is a smart way to ensure you don’t have to be stuck with size and dimensions. We found the idea here. Whether you want a breakfast-in-bed or portable coffee table for parties, this French industrial-style ottoman has got your back. The DIY is here. 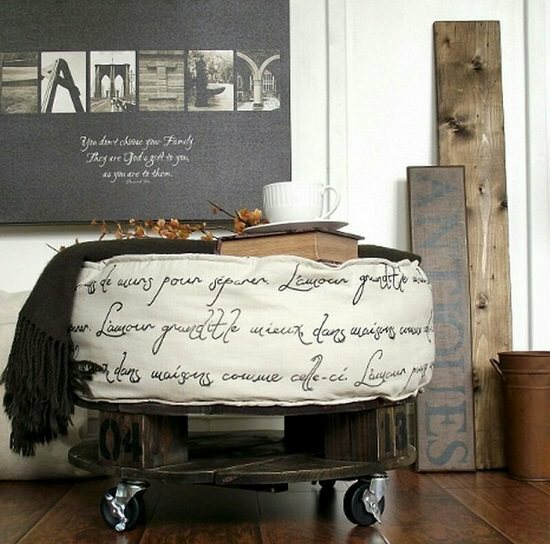 This pallet ottoman with its feathered cushion top makes a cozy addition to any room of your home. Get more details here. 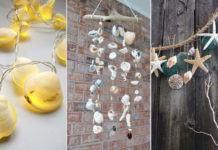 This DIY is proof that something as simple as a plastic bucket can be turned into a beautiful and functional home decor item with some effort and creativity. 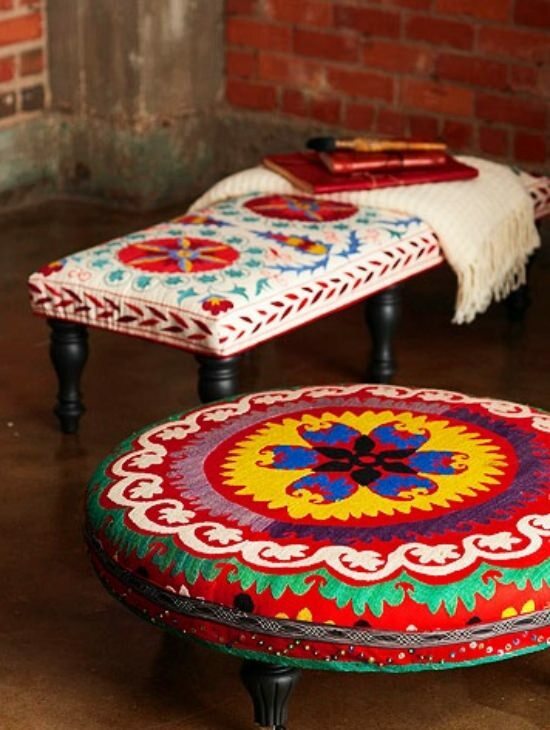 When creating a set of ottoman pieces is in your mind, consider color-blocking for ultimate visual impact. Here‘s how! 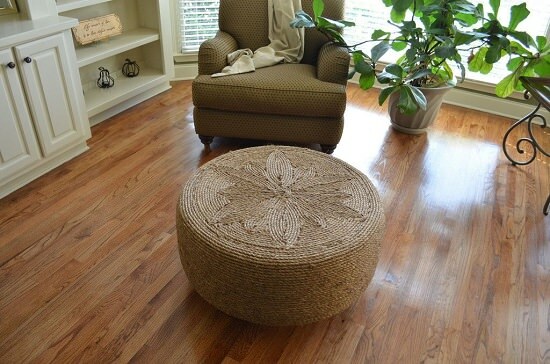 Made with the rope-covered tire, this rustic-style ottoman makes your furniture set look more symmetrical and classy. Get more info in this DIY! 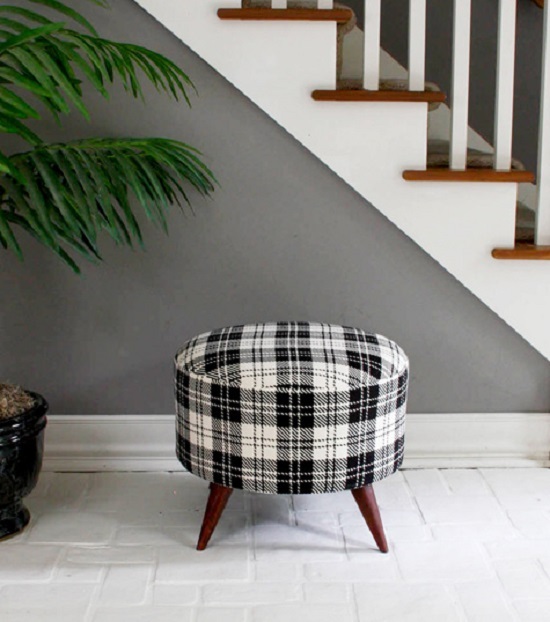 This plaid-style ottoman built from the recycled spool is the perfect way to invite fall to your home. The simple steps are here. 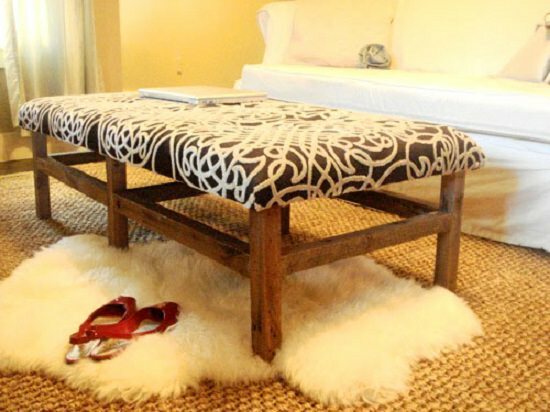 Even a hard wooden table can be an ottoman when you have spare MDF and upholstered fabric at hand. For the DIY, click here. 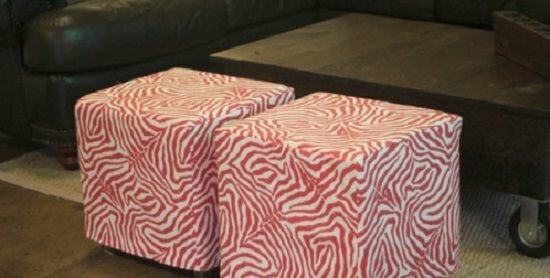 This easy DIY shows you how to transform an Army Footlicker into a cozy ottoman with the help of paint and foam. 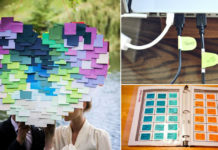 Visit Instructables to know more. This cozy faux fur tool makes a lovely gift for someone you care for. We got the inspiration from A Beautiful Mess. 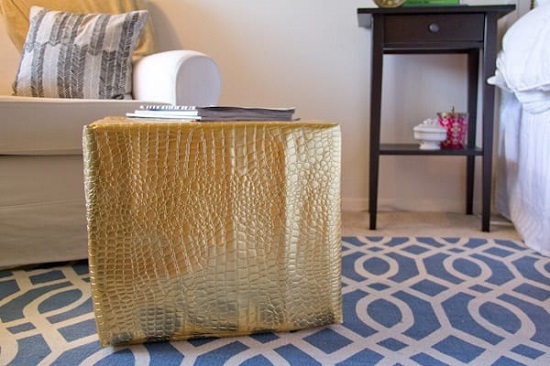 With a sleek gold leather finish on the outside and a fluffy foam padding inside, this DIY ottoman here is best for unwinding in style. Who said galvanized buckets are for the outdoors! 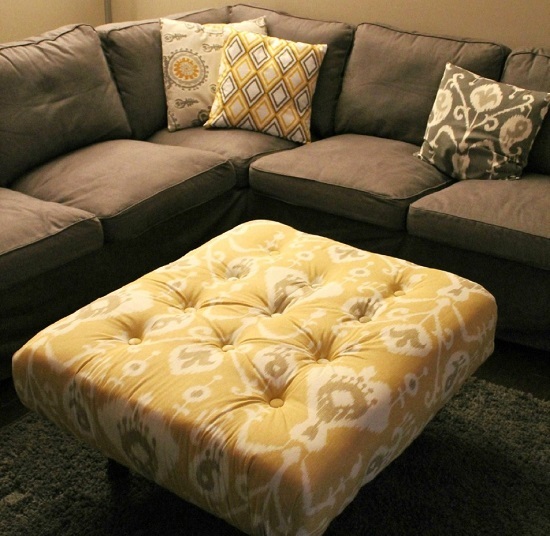 Just fill it up with upholstered fabric, and you have a comfy footpad to go with your couch. Visit here for the complete tutorial. 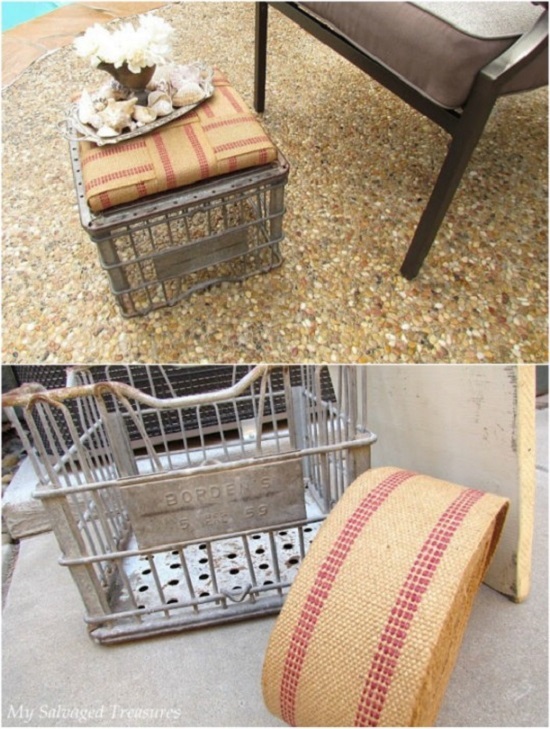 The rustic feel of a milk crate makes it a good choice for an outdoor ottoman. Top it up with some spare MDF to amp up the comfort quotient. See the detailed post here. 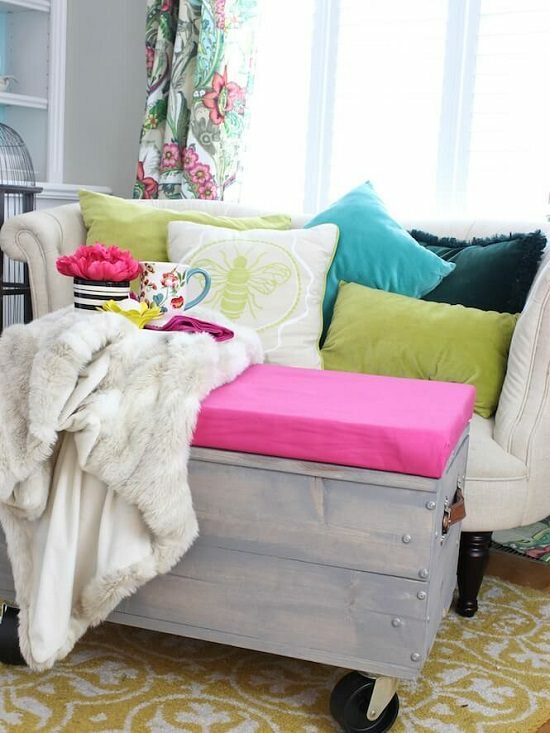 The versatility of scrap wood is just what you want to hit the middle ground between a footstool and a coffee table. You’ll get a general idea from here. 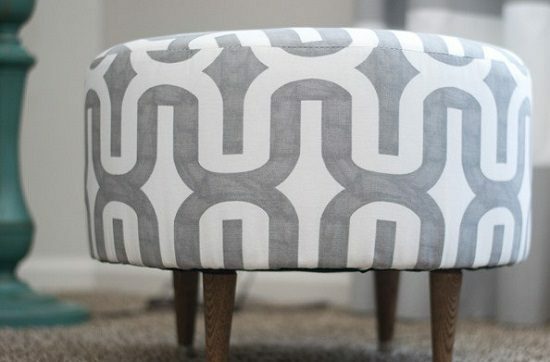 These cheery looking ottomans with embroidered designs are the result of a few tools, beginner-level upholstery skills, and absolutely no sewing. BHG came with the DIY. 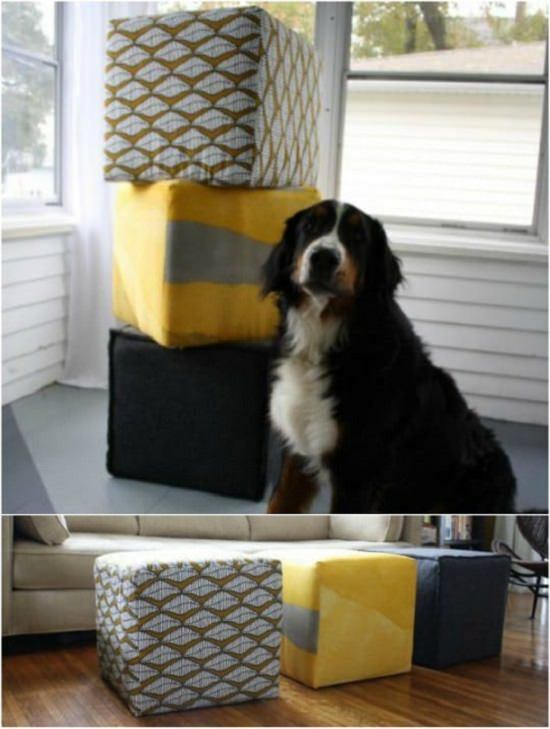 Foam-filled box cushions are a comfy and fashionable seat to perch for you and your cats as we found here. 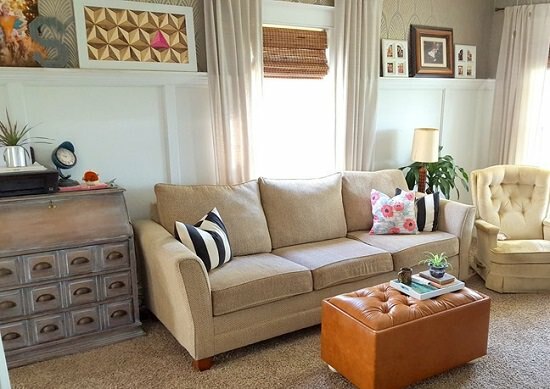 Make your ottoman count with this unique space-saving design with lots of storage space. The complete tutorial is here. These comfy wooden cubes are unbelievably cheap and easy to make and deserve to feature on your to-do list for the weekend. Here’s the step by step tutorial. 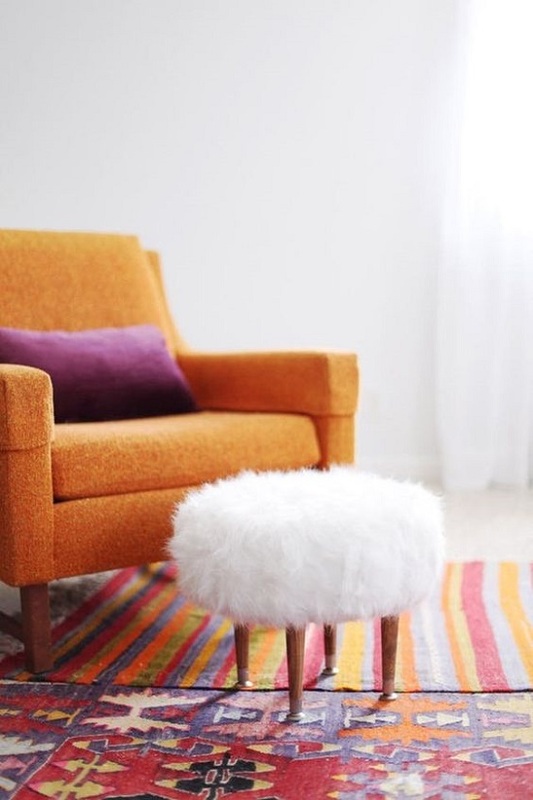 A fresh pop of color and matching pillows can help convert an old, boring ottoman into a comfy one for the living room. 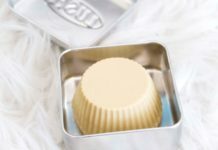 Check out this DIY to make it. 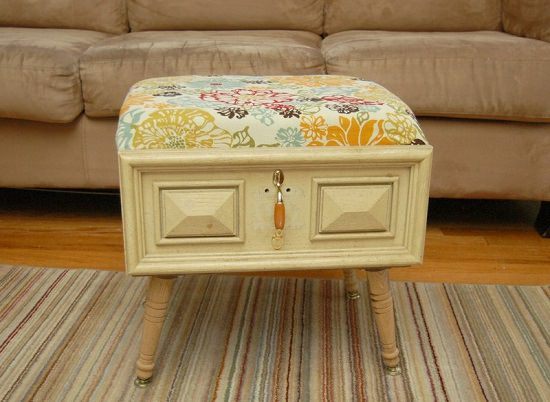 This washable, slip-covered ottoman is a delight to look and easy to maintain as well. Just follow the instructions here. 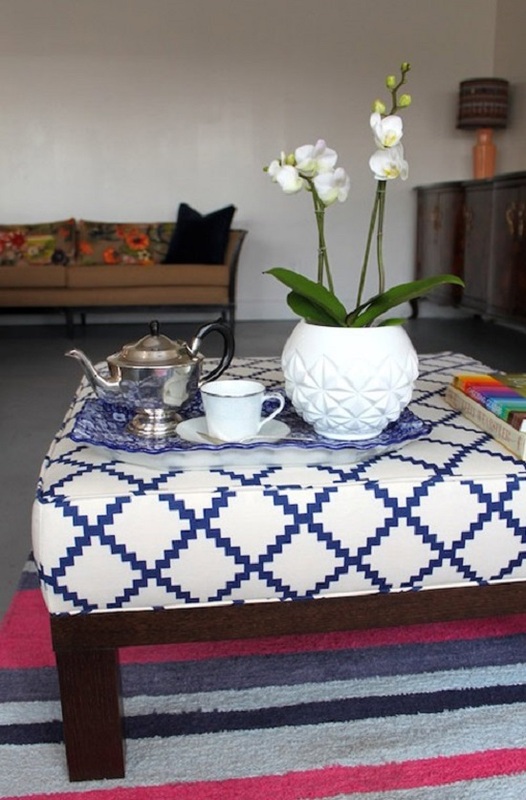 This versatile ottoman design offers extra seating space for guests and even doubles as a makeshift coffee table for terrace parties. Visit HGTV for the detailed post. This refurbished wooden crate with its pretty fabric cover adds visual interest to rooms and offers ample storage space as well. See the DIY here. 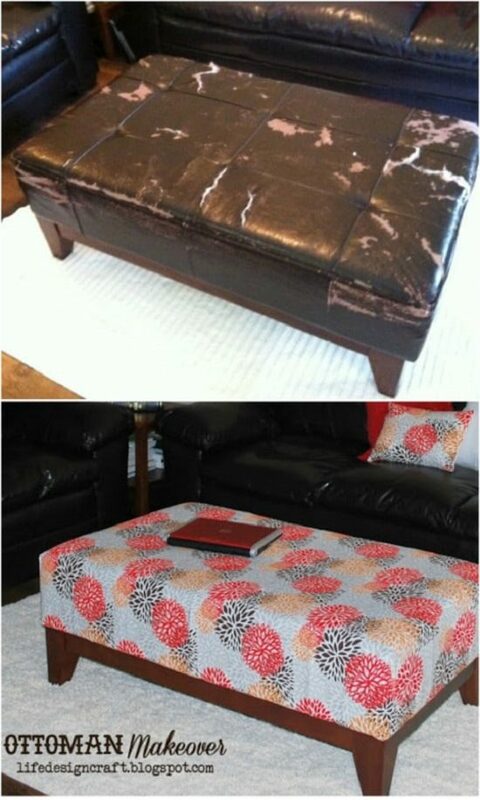 Here’s an easy and unbelievably cheap DIY that shows you how to update your old ottoman into an eye-catching piece. 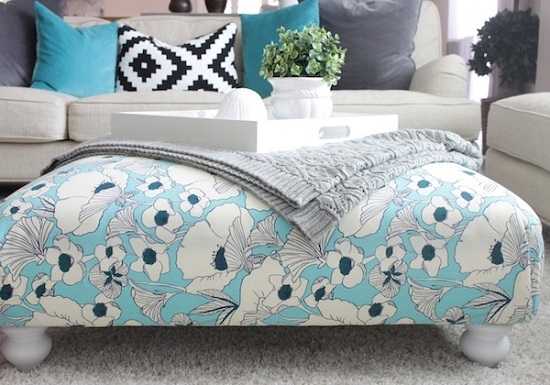 This Ikea-inspired ottoman design is proof that all pretty things don’t have to come at a cost. 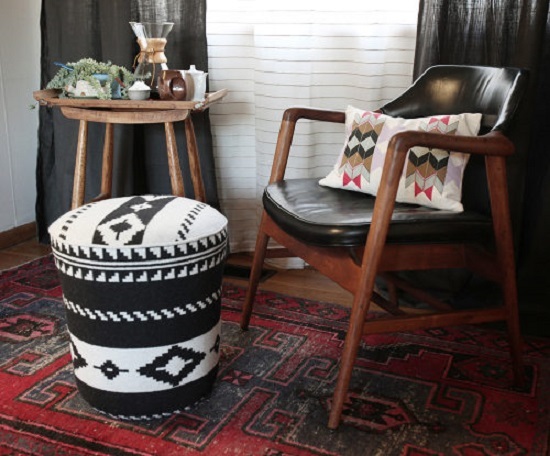 Replicate it with the help of this DIY. 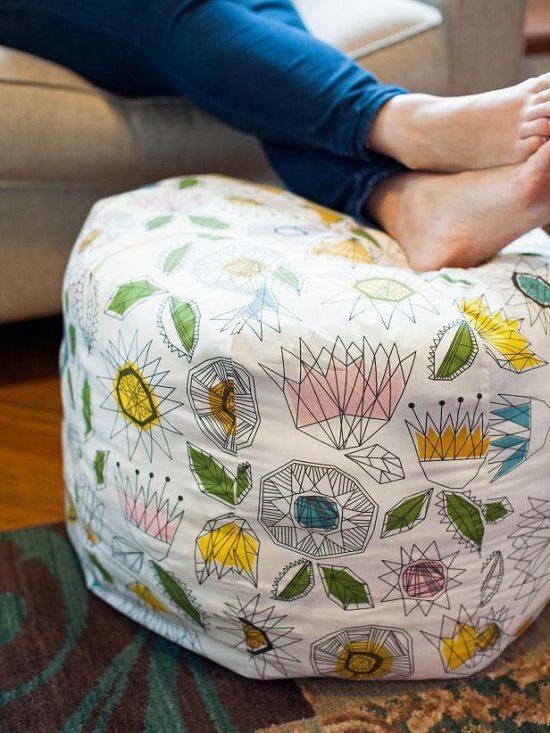 This pouf-style footrest comes in an excellent cylindrical shape that won’t collapse under your body weight, making it more than just an ottoman. Know more here. 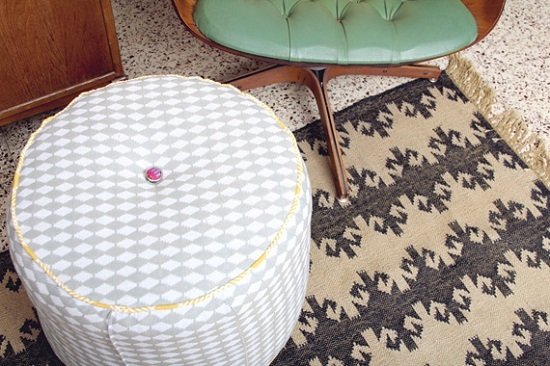 Complete with pleats and detailing, this no-sew ottoman is a cinch to make when you have limited time and skills. Step by step tutorial is here. 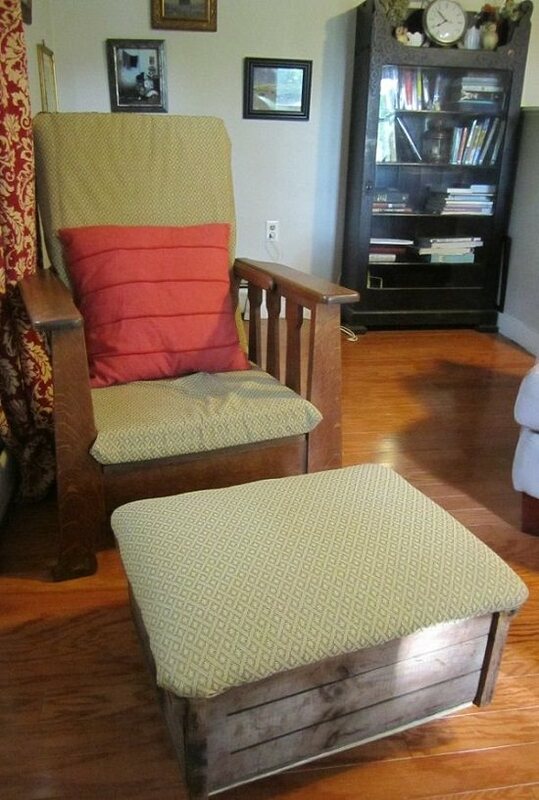 Building an ottoman from scratch means you have complete control over the size, height and comfort quotient. Take this DIY for example. 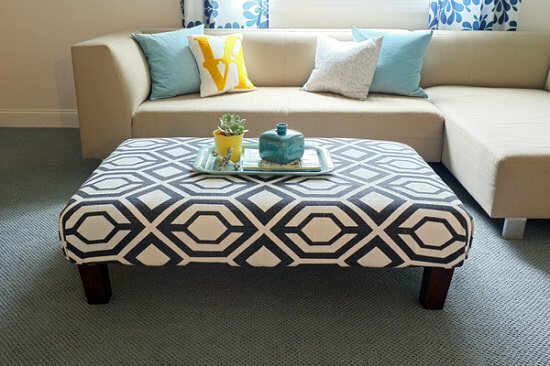 Make your ottoman the focal point of your home with an attractive, slip-on cover. Learn how to make it here. 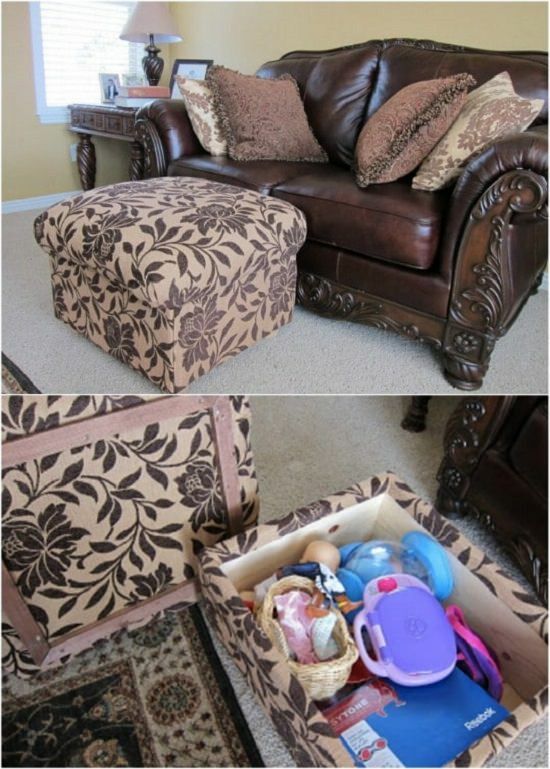 This kid-friendly pouf ottoman is comfortable to create, using a cheap floor mat and minimal sewing skills. Check out how to do it here. 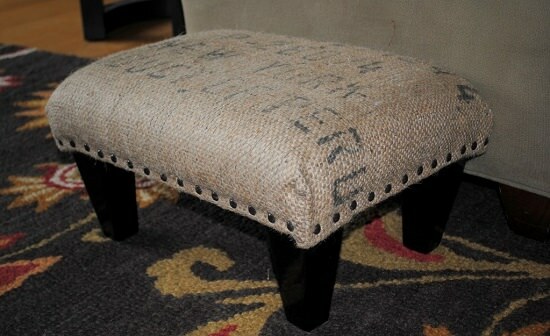 This unique idea of reupholstering ottoman tops with coffee sacks is sure to leave a shabby chic touch to your home. Get help from this DIY. Just when you thought your footrest couldn’t get more versatile, this easy, pull-out drawer element takes it to the next level. Learn how to make it here. 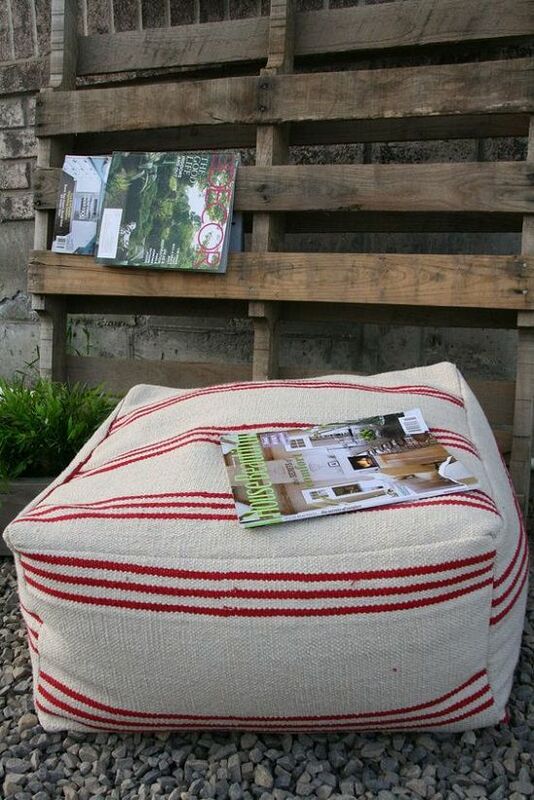 The rolling-style ottoman makes it easy to diversify its usage, like reading in the garden, for terrace parties and so on. Take inspiration from here. 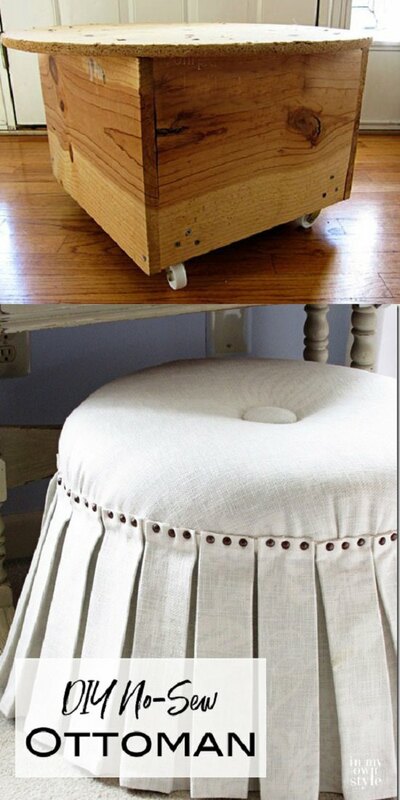 Combine upholstery and an old electric spool, and you have this cool ottoman that speaks volumes of your creativity. The easy tutorial is here. 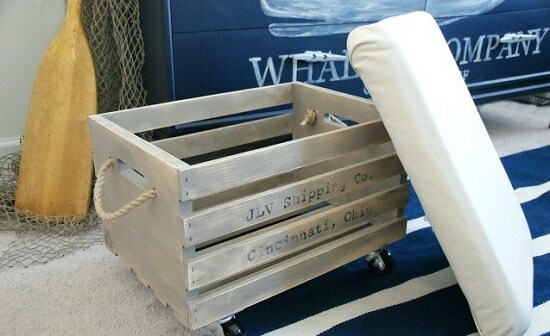 If you think about it, a wine crate with its durable make and shape is an excellent starting material for a time-proof ottoman piece. Find out more on it here. This easy DIY uses a combination of plywood and foam to create an artsy, customized piece of furniture. 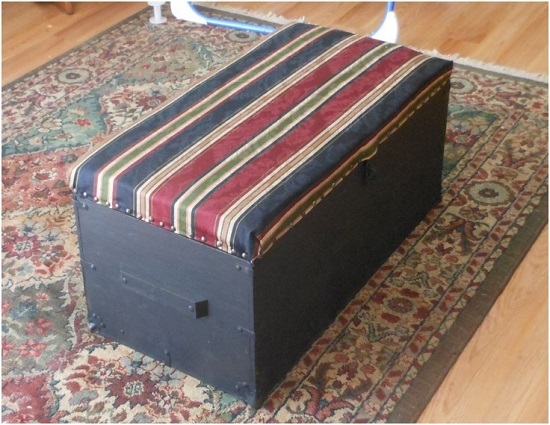 This DIY shows you how to convert your regular storage box into a stylish ottoman that has all the functions of its predecessor. 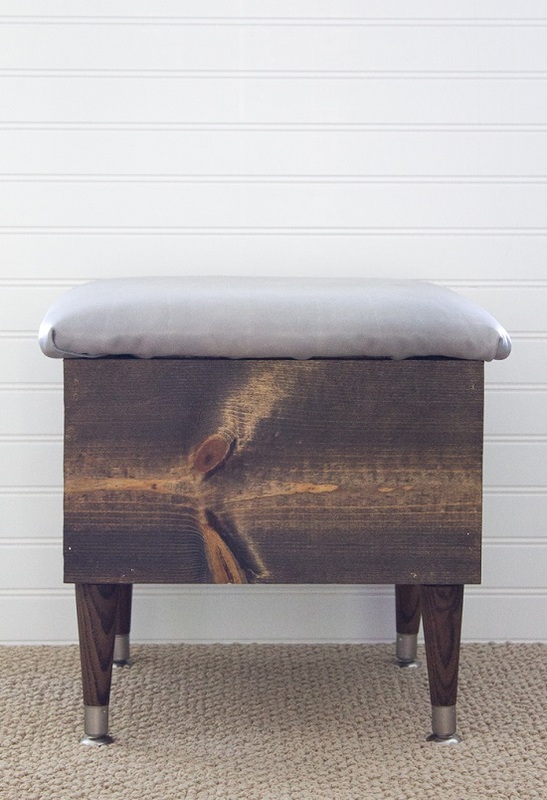 The timeless appeal of this wooden ottoman both in terms of look and function is just what you need in your home right now. Visit The Inspired Hive for the instructions.